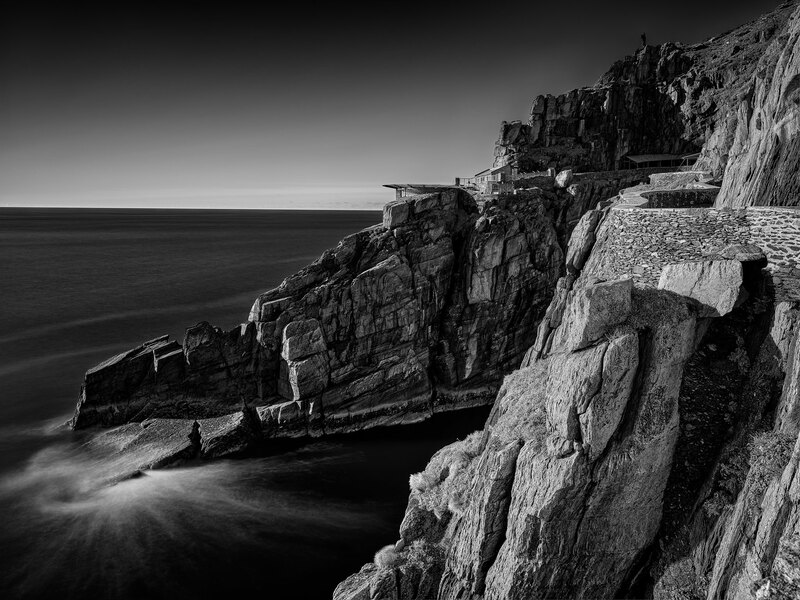 For the love of nature: A black and white seascape photo. This black and white seascape photo was one my very first image captures on the magnificent Skellig Michael and I had so much to convey through this seascape. A beautiful contrast is noticeable between the placement of the old helicopter pad and the gorgeous landscape. It is the manmade wall that manifests an organic shape which steals the scene. The way it embraces the natural shape of the Skellig cliffs, make your eyes follow its path and focus all your attention on the scene.